Dental damage affects nearly everyone over the course of their lives, whether it’s as simple as a minor cavity or the loss of one or more teeth. Regardless of your current dental needs, you deserve the support of a trusted and highly experienced dental team that can provide long-lasting solutions. Dr. Stan Mitchell’s comprehensive menu of services features several high-quality restorative treatment options that can bring back optimal function, strength, and appearance to broken, missing or damaged teeth. Your care will be unrushed, compassionate, and personalized. Our practice has two convenient locations in Fayetteville and East Point, GA – contact us today to get started! For a tooth is with significant decay that can’t be treated with a tooth-colored filling. When a tooth has a large filling that needs additional support. When a tooth has suffered a serious injury or fracture. When a tooth has a severe cosmetic imperfection that needs correction. 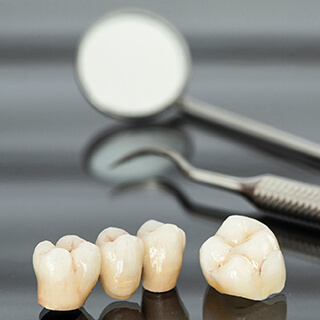 Dental crowns are also an important component of bridges, which are often used to replace one or more missing teeth in a row along the same arch. 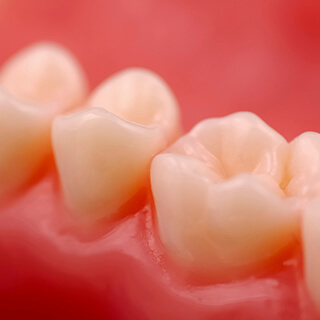 Unlike dentures, which are removable, bridges are anchored into place by the application of dental crowns over adjacent natural teeth. Many older patients remember the days of dark-colored amalgam (silver) fillings that stood out against natural smiles. While this restorative solution was effective at repairing the damage left by cavities, our team offers a much-improved alternative: fillings crafted from tooth-colored composite resin. This flexible, high-quality material comes in several shades that can be precisely matched to your own tooth enamel, allowing for a virtually seamless result that helps patients smile with confidence. Composite fillings generally preserve more healthy tooth structure during the treatment process, and the lack of metals means added oral comfort and less temperature-related sensitivity. Dentures are an age-old solution for lost teeth, and many patients select them due to their reliability, ease of use, and affordability. Dr. Mitchell will take the time to ensure that your new denture is stable and well-suited for your unique appearance. 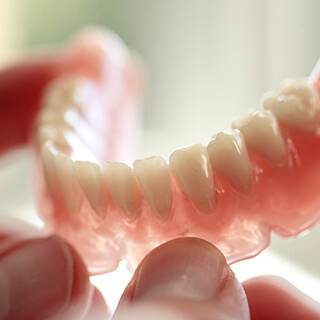 Full dentures are designed to cover entire arches, while partial dentures can replace certain missing teeth while leaving natural ones in place. Both are removable in nature for simpler storage and cleaning. If you are looking for a tooth replacement solution with a greater sense of permanence and more pronounced oral health benefits, please talk to our team about implant-retained dentures! 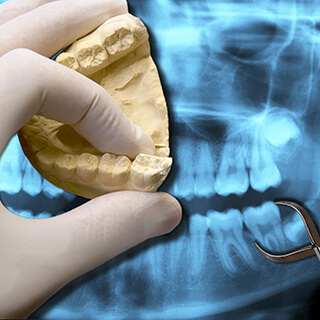 When a tooth is badly infected or traumatically injured, extraction may seem the only option left to consider. Thankfully, this is not always the only option. Root canal therapy is an effective and highly successful procedure that can restore health to damaged teeth, during which Dr. Mitchell will access the affected tooth’s inner chamber and thoroughly remove diseased pulp and bacteria. After restoring the treated tooth with a custom-made restoration, our patients can continue to enjoy a strong, natural smile. Our team is committed to doing everything we can to help you maintain your teeth over your lifetime. There are situations, however, where extraction is the only option. You may have suffered an oral injury or have advanced periodontal disease. Sometimes your child needs to make space for an emerging adult tooth or in preparation for orthodontics. Whatever the circumstances, our patients can rest assured that we will handle their extraction procedure with all the comfort and compassionate support they deserve. 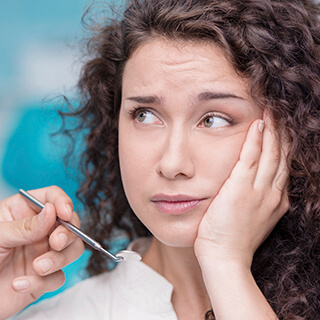 Our dental team makes every effort to be accommodating toward nervous patients, but we understand this may not always be enough to help relieve dental-related anxiety or fear. 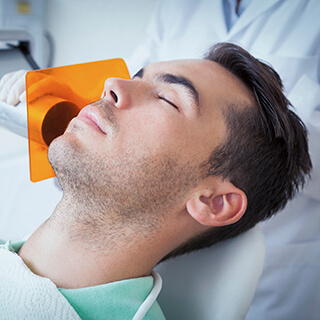 We are able to offer sedation dentistry at our East Point office to make your visit calmer and more relaxed. We offer nitrous oxide as a mild sedative that is breathed through a nasal mask throughout treatment; the effects wear off within minutes once the appointment is complete so no downtime is required.